BRYAN EATON/Staff photo. 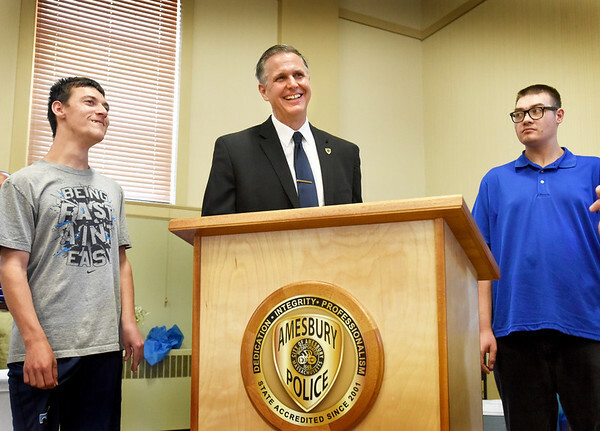 Amesbury police chief Kevin Ouellet smiles as he's presented a podium in his honor at a luncheon for his retirement Thursday at Amesbury City Hall. The podium was made by clients of Coastal Connections where he often visited and had a relationship with.